I tend to use photos for my reference. 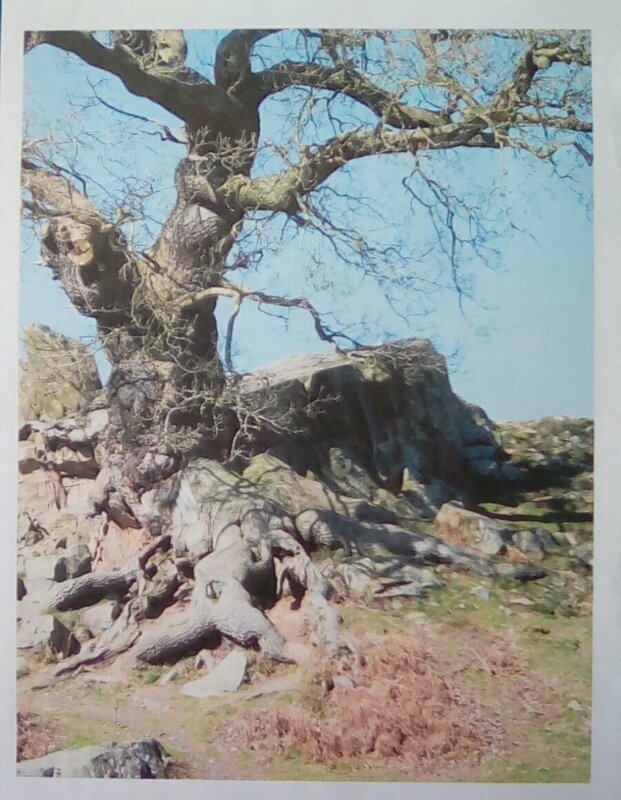 This one was taken on Bradgate Park. 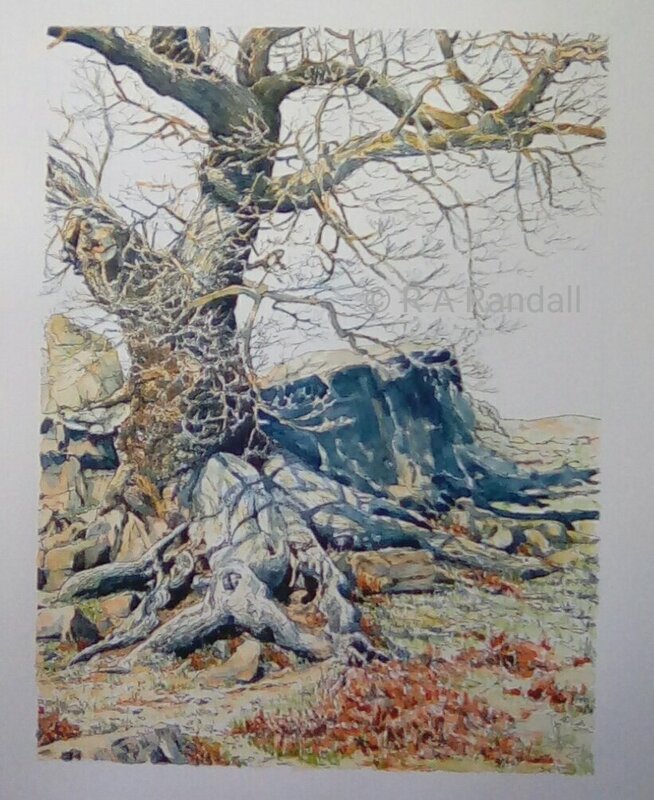 If working with pen and ink, or coloured pencil, I work on Bristol Board. This doesn’t bleed the ink like watercolour paper would do. 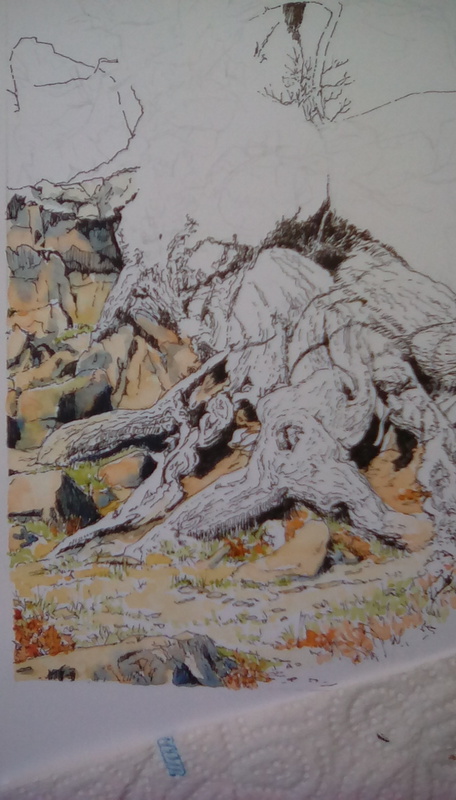 It does behave very differently with watercolour. I draw up my picture, very faintly, with a sharp, soft pencil. I don’t put in much detail at this point, just indicating where the main things go – and ensuring they all fit. 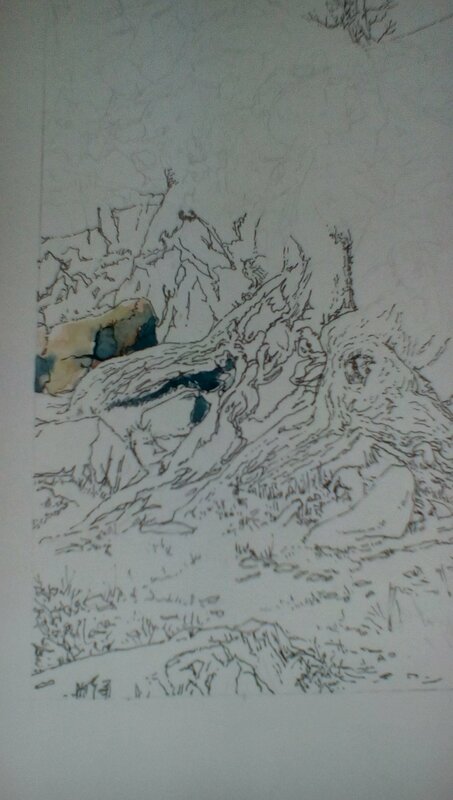 I then start in with the pen (I use 0.05 Uni pin fine line, as I know they are water and fade proof). This is where I add the finer detail. 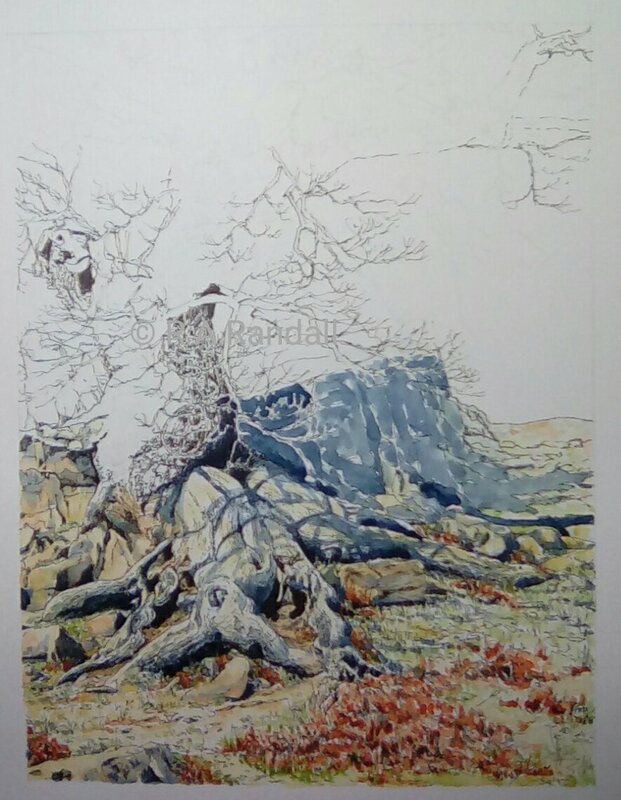 I know I should complete the whole picture, in pen, before going on to the paint, but I get impatient and will start to bring in the colour – not too dark at this point, as I can always darken later. I tend to wet an area with the palest colour and then dot in other darker colours and allow them to merge as they will. It seems to work for me. I also work in a limited pallet. Always on my pallet are burnt Siena, sap green and indigo, plus a few gentle mixers. 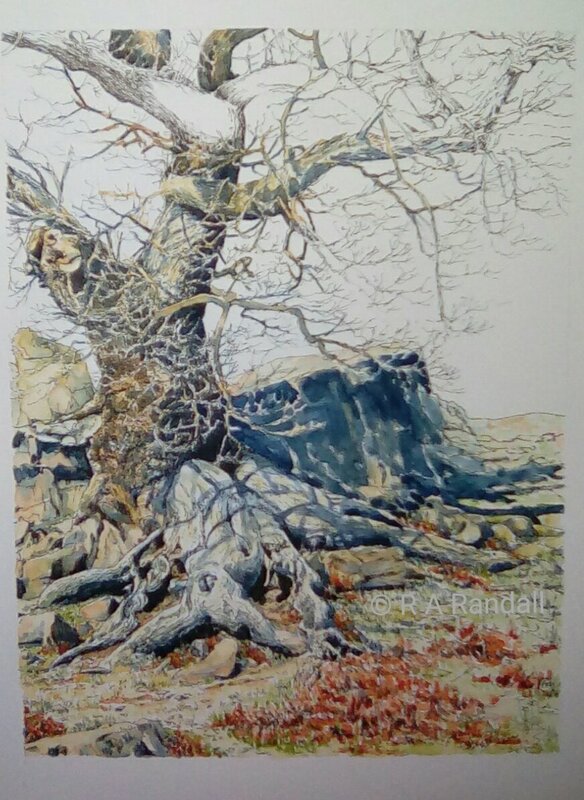 I work outwards with the pen and then gradually follow on with the paint. 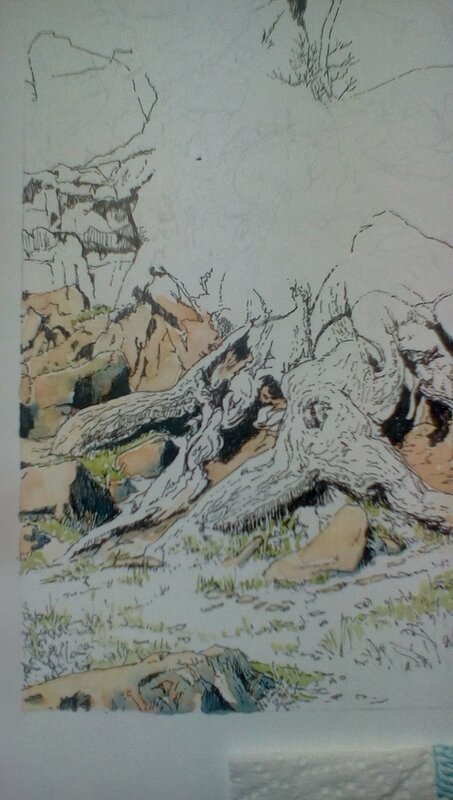 Building up and balancing the tones as I go. I’m not afraid to leave small areas of white paper, as these seem to bring light into the painting. The final part is just touching up here and there, I may even leave it for a few days before doing that, as I find it’s good to go over it with fresh eyes. some lovely muted tones.It conveys a dryness me.